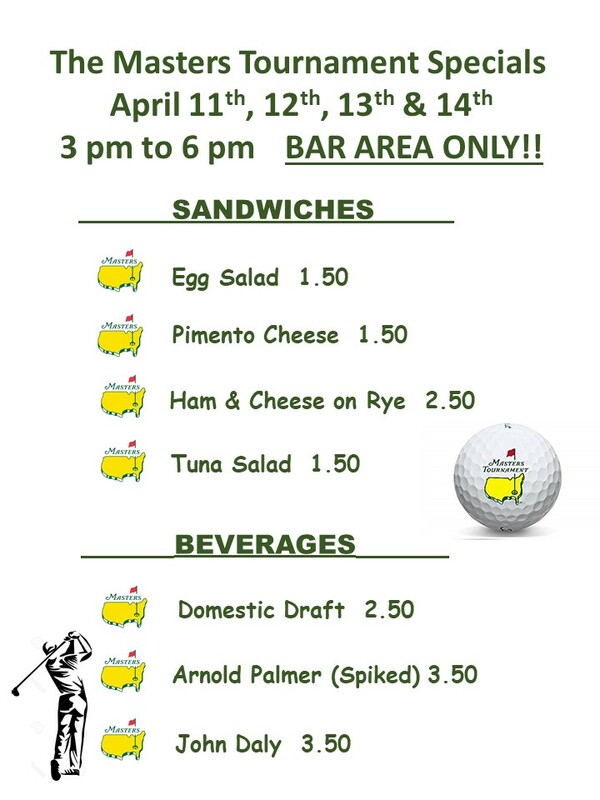 Details: Come out and watch the Masters at Dagwood's Pub! We have Sandwich & Beverage Specials from 3 to 6 pm in the Bar Area Only! Details: While Mike is recovering the Boys Trio will be entertaining us at the Upstairs Bar 6 to 10 pm!! 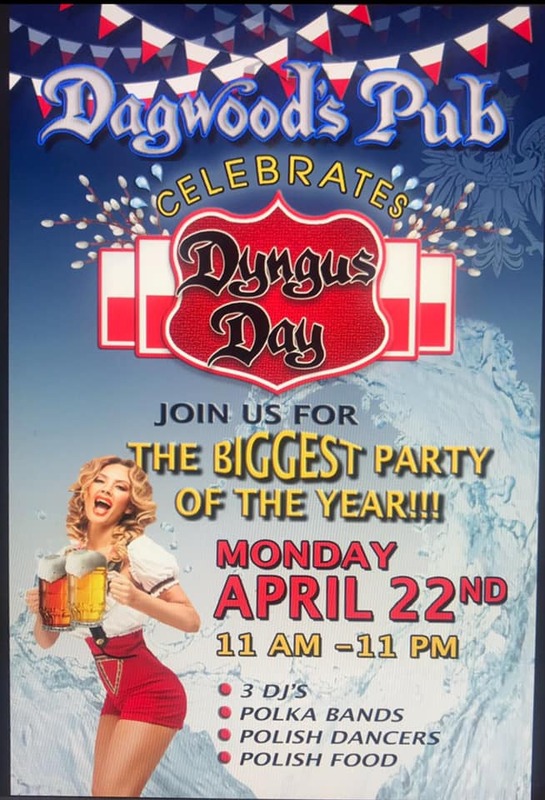 Count Down Has Started to The 6th Annual DYNGUS DAY @ Dagwood's!! 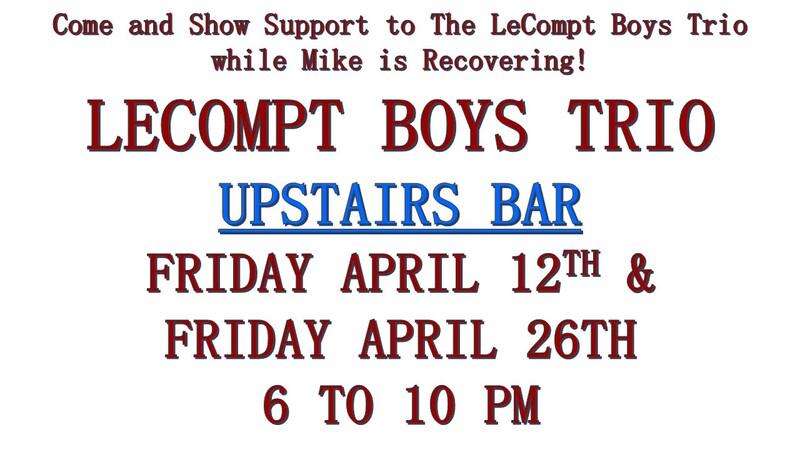 Details: While Mike is recovering the Boys will be playing at the upstairs bar from 6 to 10 pm. Come out and support them! !